Cars are so much more than just a way to get from point A to point B. When we first get our driver’s license, we finally have access to a freedom that we never knew was available. Then we buy our first car, and it’s a point of pride. It’s a way to show the world that you’ve made it. As adults, cars are also a financial burden. We’re spending a large portion of our monthly income on them, and we want to keep them safe. Fender benders, bumps, and scrapes can cause serious frustration. Modern cars are often shipping with rear-view backup cameras to help us see an area where we’d otherwise be blind. It would be a great feature to have, but it’s hardly worth replacing your entire vehicle over. Fortunately, there’s a solution. For a low price, we can purchase these cameras as accessories. A simple installation allows us to see what’s behind us at all times, preventing any accidents. But are these affordable, license plate mounted cameras really all they’re cracked up to be? We had to take a look. This company has gained notoriety for their line of affordable, high quality cameras. 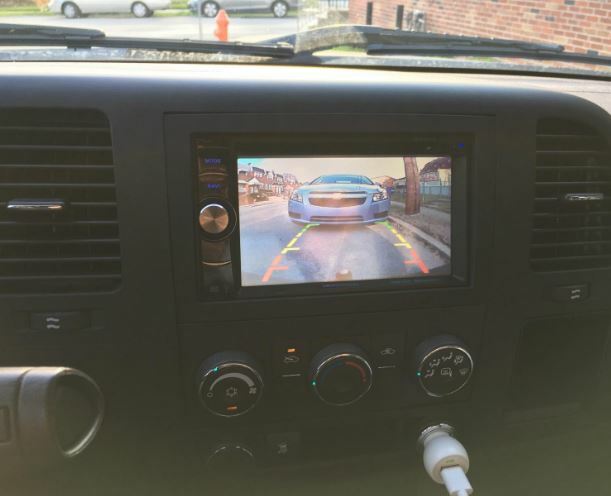 While this backup camera is unique to them, they have a creative solution that makes it accessible to everyone. 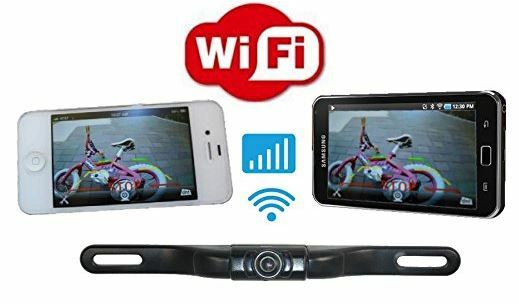 The 4UCAM WiFi Backup Camera is a compact device mounted on a durable strip. It attaches just above the license plate. All you have to do is remove the top screws, position the camera, and put them back in place. From this point, you need a 12-volt power supply which is easy to get from most vehicles. 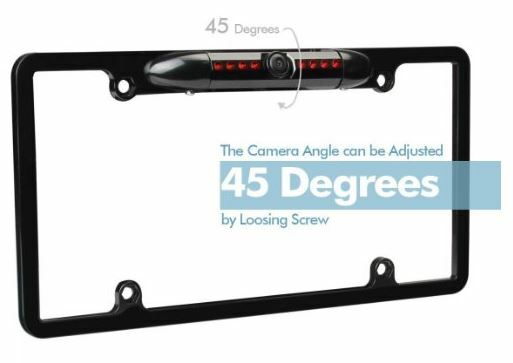 Because the screw holes are elongated, this camera is designed to fit on almost any type of vehicle. From a compact car to an RV, it’s just simple matter of setting it up. The image quality is very impressive. In fact, we found that it was better than the image we’ve seen on newer model cars that come with a reverse camera pre-installed. While the color isn’t the most vibrant, the image was very clear and detailed. Everything was in focus, from far away objects to close up ones. Contrast was also a strong point, there is clear differentiation between objects, so you’re not going to be confused about what you see. The resolution on this camera is standard NTSC (SD) resolution. This means that it has 480 rows of pixels. It’s not exactly as good as your 4K television, but we’ve found that it’s not the resolution that’s important with these cameras, it’s the noise level. See, many camera might have very high resolutions, but the image comes out grainy and inaccurate. This makes it hard to see objects in the distance. But this camera has a nice, clear image sensor, so you can make everything out clearly. The lens on this camera has a viewing range of 110 degrees. This is similar to what your eye is capable of. It means that you can see for a longer distance, primarily the things that are right behind you. This isn’t the widest angle that you can get, but often we found that we rarely needed to see things that were too far to the left or right. Plus, at 110 degrees, the image is nice and straight. You don’t get the bending or warping that you do with other cameras. The camera comes equipped with an IR compatible sensor, allowing you to see in the dark. It doesn’t have the most IR LEDs of anything on the market, so this feature is very useful at close range. 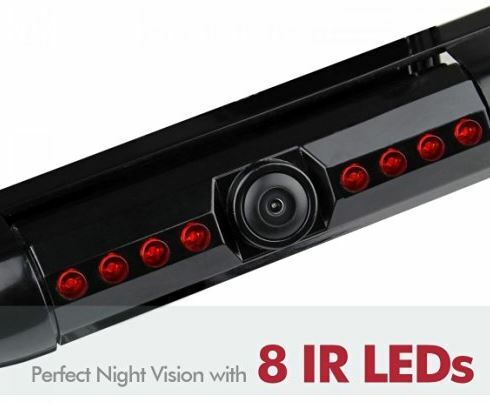 Compared to most cameras on the market, we found that this one could see much further, and the image was much clearer than any other night vision camera on the market. Within four or five feet, the image quality was almost as good as it is in the day! The 4UCAM WiFi Backup Camera is designed with IP66 waterproofing, allowing it to withstand all of the elements. It doesn’t matter if you’re driving in rain, sleet, or snow, your camera will be able to withstand any external environment. For something that’s mounted to your call all the time, this is great to have. Additionally, the mount itself is also quite durable. If you want the best for your money, this is probably the one to get. This camera connects to your phone via WiFi. The signal was pretty strong, and we have no problem getting a clear video shot. To access it, you need to download an app on your phone. It’s compatible with both iOS and Android. While many cameras have a very long delay, this one is updated in only a fraction of a second. What you see on your phone is what’s happening in real-time behind your car. If you’re looking for something that lets you see in all directions, Esky has a solution for you. They’ve got a number of creatively designed products, all of which take a common theme and add on their own little twist. The latest of these creations is this reverse camera. 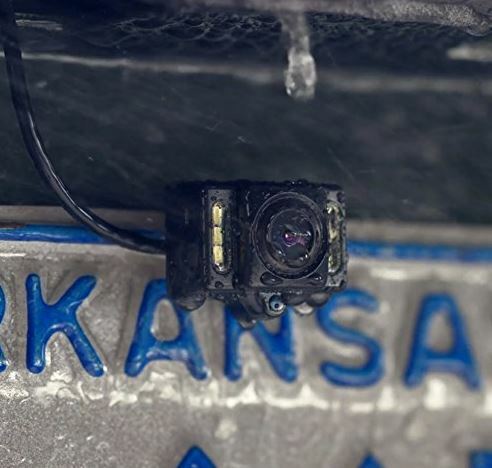 At first, the Esky Universal Rear View Camera looks like nothing more than a standard license plate frame. But if you look carefully at the top, you’ll see that they’ve stealthily added in a camera with not one, but 8 infrared LEDs. It’s a little larger than some, but that’s because they’ve added a few great features that you can’t find elsewhere. This camera uses a CMOS sensor that produces a wide NTSC video signal at a resolution of 510 x 496. It’s highly amplified, which can be both good and bad depending on your usage. For starters, the video will be clear no matter what time of day it is. Even during those awkward twilight hours, or when you’re caught unexpectedly in a rain storm, the image is still bright enough to make out. Because it uses a wide angle 170-degree lens, are some unique benefits to this camera. You don’t only see what’s behind you, but what’s on either side as well. This feature is great for parallel parking, as you can see how far your tires are from the curb. It does give the image some mild curvature, but this is reduced thanks to the all-glass lenses. Because the lens is so wide, it’s excellent to view your immediate surroundings. Unfortunately, it’s not as good for things that are far of. This all depends on your use, however. With very high amplification and 8 infra-red LED lights, the Esky Universal Rear View Camera can see very well at the night time. Even if it’s pitch black, you’ll still have the ground behind you well illuminated. On a long-range camera, this feature wouldn’t work very well. But for a wide-angle model like this one, the high Lumosity display is perfect. It’s much more durable than others we’ve seen. The frame is very large, which gives it a rigidity that you don’t find in many other backup cameras. This is great for any cars that are a little lower to the ground. 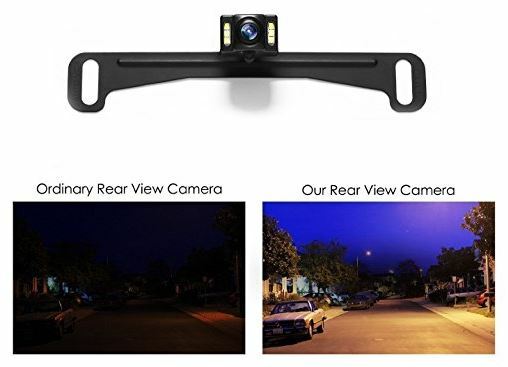 Because there are four mounting points, you won’t have to worry about the camera flying off if you happen to go through a little snow or a deep puddle. And in the case of the puddle, you’ll probably appreciate the IP 67 rating. This is a little better than the last camera we reviewed, so it can sustain a little more water. This camera uses a standard WiFi connection to sync up with your phone. It’s actually using standard software, so it will work with a few different applications. But the manufacturer includes one, and we found it quite easy to use. The only thing we noticed is that there is a small amount of stat up time. When you put your car in reverse, there is about a 3 second delay before the video comes online. This isn’t a huge deal for most uses, but definitely worth noting. If you’re the type of person whose motto is “bigger is better”, then you’ll love this Auto-Vox camera. It’s designed especially for trucks, and has a few features that set it apart. The AUTO-VOX Cam1 looks a little beefier than most, and they’ve taken an interesting approach to mounting the camera. Instead of hiding it in the frame, it sticks out on a rotating mount. This is so that it can be adjusted either up and down, perfect for installation on a large vehicle. The metal frame has wide holes, allowing it to be mounted on any vehicle. This unique solution will be a blessing to consumers with specific needs. This is another reverse camera with an NTSC sensor. With a 170-degree field of view, it’s clearly designed to view your immediate surroundings. While the video quality here isn’t quite at the same level as some of the other cameras, it’s actually still reasonably impressive. During the day, it’s sharp and you can make out all the little details, although it won’t be quite as impressive in a storm. For the majority of your day, you probably won’t notice a difference. For tall vehicles, the night vision is where this camera exceeds expectations. Most cameras use infrared LEDs to illuminate the ground, but these only work at very short distances. This camera uses regular LEDs. Not only does this give you a much brighter image, but it will warn anyone behind you when you’re about to reverse. Which License Plate Backup Cameras Should I Own? Now that we’ve seen all the backup cameras on the market, the question remains as to which version is the best one for you. Really, it all depends on your usage. The 4UCAM WiFi Backup Camera has, by far, the best image quality. It’s sharp, clear, and easy to see in all conditions. It also has the most natural field of view. If you think you’ll be using your camera to see behind you, then you’ll want to get this one. 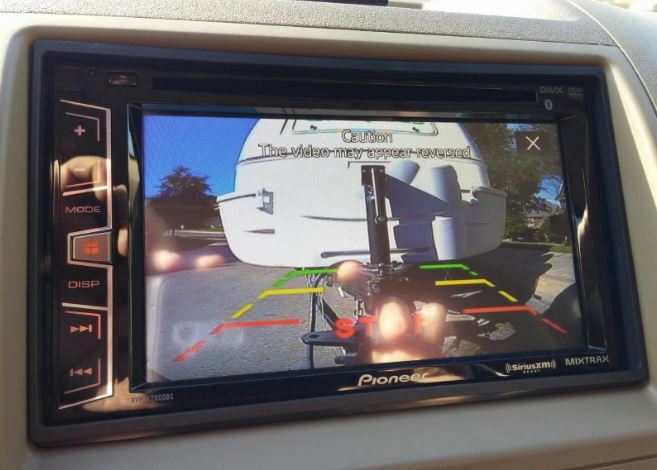 The Esky Universal Rear View Camera has a very wide field of view. This means that it’s useful for parking, or seeing if anyone is headed your direction on a cross street. The image quality is still acceptable, but for the price it’s incredible. The AUTO-VOX Cam1 is designed especially for trucks or tall vehicles. The fact that the camera can swivel is a major plus. You’ll be able to adjust it exactly to your needs, and the high powered LEDs mean you aren’t going to be stuck without night vision. Interested in the 4UCam for a 2018 Jeep Compass Latitude. 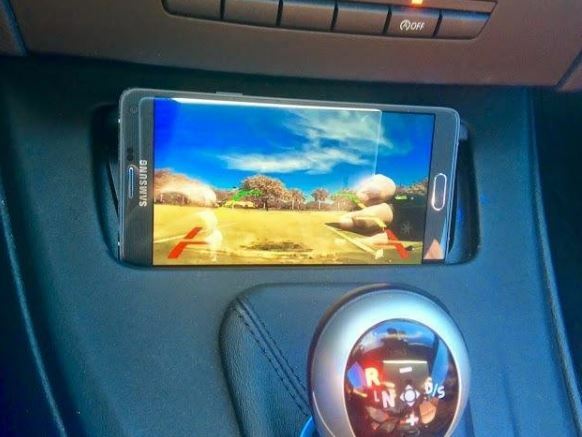 Will this camera display to the dashboard screen or only an iPhone?